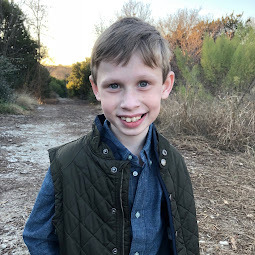 Bennett Brinson Gamel: Fighting Cystic Fibrosis: Congratulations, Daddy! This past few weeks have been crazy for our family but it wasn't just the Thanksgiving-Christmas-New Year holidays that have had us celebrating. One other momentous occasion recently passed by, the ending of a comprehensive 8.5 year journey: Brian's graduation with his Ph.D. (Doctor of Philosophy). Our very beloved long-term babysitter, Peyton, surprised Brian with a cake, card and gift the night before his graduation. We have known and used Peyton as our babysitter for three years, since she was 17 and a junior in high school. We have watched Peyton grow from a teenager to a beautiful young woman. We've celebrated her graduation from high school, her acceptance to Texas Tech and her induction in to the Delta Delta Delta sorority. So, it was very touching that she would make such an effort to celebrate Brian's milestone! Brian began his graduate school journey at Duke University in 2007 when he started the Master of Divinity program there. Oliver came in to our lives shortly after Brian started at Duke. I became pregnant with Bennett by the time Brian finished up. After graduating from Duke with his three year M.Div. degree, we moved to Waco for Brian to begin his Ph.D. program at Baylor. Bennett was born at the end of September, just as Brian was beginning his first year of his Ph.D. program. 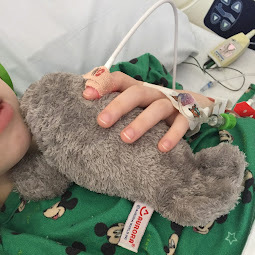 It was then that we learned of Bennett's terminal CF diagnosis the unexpected complications that came with it. At one point, Brian did not know if he would be able to finish his program and considered dropping it altogether. However, the Baylor faculty was incredibly supportive and did everything they could to help Brian stay on track with his work as well as be available to help his family. After 5 and a half years of diligent work and the addition of another Gamel baby, Brian passed his dissertation defense and was honored with his Ph.D. in Religion from Baylor University on December 20, 2014. Brian's mentor and Baylor faculty, Kelly Iverson, has been such a gift to Brian and to our family. Kelly was a wonderful coach and guide to Brian as he navigated the process of finishing his coursework, passing his "comps" (comprehensive exams), completing and defending his nearly 300 page dissertation. Brian is so thankful for such a thoughtful and encouraging mentor. Can you see him?! He's on the right side, 7th from the left, dressed in a dark green robe. There were only 11 people who graduated from Baylor with their Ph.D.'s at this December graduation. Brian's dissertation is called, "The Centurion's Confession as Apocalyptic Unveiling: Mark 15:39 as a Markan Theology of Revelation." I have no real idea what that means but I know it's about Jesus, the book of Mark and involves a lot of smart and thoughtful work, 5.5 years in the making. Brian's family in Missouri were unable to make his graduation but my parents and youngest brother, who live closer to us in Texas, were able to come in support and on their behalf. We were delighted to learn that Baylor web-streamed the graduation on the internet so Brian's family was able to watch him graduate in real-time. You would think with such a huge accomplishment, we would know what the next step is for our family. However, academic jobs are very hard to come by, and has become even more so since the economic crisis of 2008. 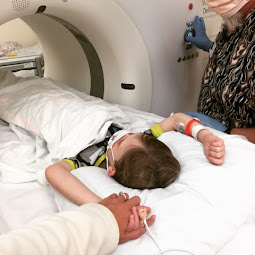 In addition, Bennett's CF care complicates just how far away from a CF center we can move and how far away we are willing to move from family. So, at this point, we are prayerfully considering several options about our family's future. 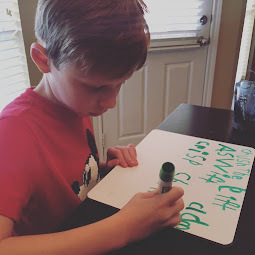 Until we feel we have a really great reason to move, we have decided to stay in Waco in order to allow Brian to adjunct teach at Baylor and for the continuity of Bennett's cystic fibrosis care. Congratulations, Brian, for all the hard work you have put towards your calling of following Christ through your academic work. Proud to finally get to call you Dr. Gamel! So proud of Dr. Gamel! What a huge achievement!